I have achieved some significant performance improvements in some Application Engine programs by just enabling the ReUse Statement flag on certain steps. I thought I would share a recent example of how effective this can be. 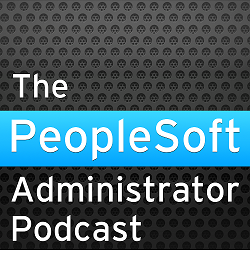 "One of the key performance features of PeopleSoft Application Engine is the ability to reuse SQL statements by dedicating a persistent cursor to that statement. Unless you select the ReUse property for a SQL action, %BIND fields are substituted with literal values in the SQL statement. The database has to recompile the statement every time it is executed. However, selecting ReUse converts any %BIND fields into real bind variables (:1, :2, and so on), enabling PeopleSoft Application Engine to compile the statement once, dedicate a cursor, and re-execute it with new data multiple times. This reduction in compile time can result in dramatic improvements to performance. In addition, some databases have SQL statement caching. Every time they receive SQL, they compare it against their cache of previously executed statements to see if they have seen it before. If so, they can reuse the old query plan. This works only if the SQL text matches exactly. This is unlikely with literals instead of bind variables." In fact most databases do this, and Oracle certainly does. On Oracle, you could enable CURSOR_SHARING. Then Oracle effectively replaces the literals with bind variables at parse time. However, I certainly would not recommend doing this database-wide. Whenever I have tried this on a PeopleSoft system, it has had severe negative effects elsewhere. I have enabled cursor sharing at session level for specific batch programs (using a trigger), but even then it is not always beneficial. Instead, I do recommend using the ReUse Statement flag wherever possible. It cannot just be turned on indiscriminately, the same section in PeopleBooks goes on to describe some limitations (which is probably why the default value for the flag is false). To illustrate the kind of improvement you can obtain, here is a real-life example. This is an extract from the batch timings report at the end of the Application Engine trace file. We are interested in statements with the high compile count. ReUse Statement is not enabled on these 4 steps. They account for more that 50% of the overall execution time. Now, I have enabled ReUse Statement on these steps. I have not changed anything else. The execution time for the first three statements has fallen by nearly 90%. The improvement in the 4th statement is quite modest because it did not contain any bind variables, but clearly some of the time reported as execution time by Application Engine is associated with the preparation of a new SQL statement. To emphasise the point, lets look at the effect on the database. The following are extracts from the TKPROF output for Oracle SQL trace files for these processes. 160446  user  SQL statements in session. 70478  internal SQL statements in session. 230924  SQL statements in session. 67425  user  SQL statements in session. 3154  internal SQL statements in session. 70579  SQL statements in session. Nearly all the saving is in parse time of non-recursive statements, the rest is the reduction of recursive SQL because there is less parsing. There is less parsing, because there are fewer different SQL statements submitted by Application Engine. The number of user statements has fallen from 160446 to 67425. The number of misses on the library cache has fallen from 25498 to just 73. There has been a reduction in SQL*Net message from client (database idle time) from 296 seconds to 253 because the Application Engine program spends less time compiling SQL statements. Enabling ReUse Statement can have a very significant effect on the performance of Application Engine batches. It is most effective when SQL statements with %BIND() variables are executed within loops. Otherwise, for each execution of the loop, Application Engine must recompile the SQL statement with different bind variable values, which the database will treat as a new statement that must be parsed. SQL parsing is CPU intensive. Reducing excessive parse also reduces CPU consumption on the database server. It can also reduce physical I/O to the database catalogue. On PeopleSoft 8.x applications that use Unicode, the overhead of parsing is magnified by the use of length checking constraints on all character columns. This is no longer an issue in version 9 applications which use character semantics. If you use Oracle's Automatic Memory Management, excessive parsing can cause the database to allocate more memory to the Shared Pool at the expense of the Block Buffer Cache. This in turn can increase physical I/O and can degrade query performance. Bind Variables are a good thing. You should use them. Therefore, ReUse Statement is also a good thing. You should use that too!